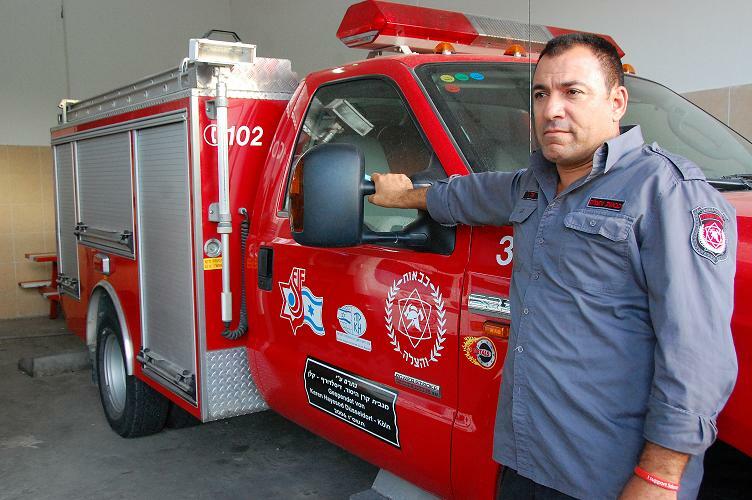 “You’re the next in line Avi,” the whole Sderot fire department joked around with their most prized firefighter Avi Maman. All the homes around his home had been hit by Qassam rocket fire from Gaza the past week and the other firemen were joking with him that his home was to be the next. It was December 29th, 2008 three days into Operation Cast Lead and Avi did not take the jokes lightly. Like many homes in Sderot, Avi’s was having a bomb shelter connected onto it. However, the workers had not finished so the entrance to the bomb shelter was not opened for use but Avi could not let go of the jokes from the other firemen and he brought home a heavy duty hammer and busted open the entrance to the almost finished bomb shelter. He plugged in their television and made his family stay in the bomb shelter. The next morning he was off work as he had worked around the clock the day before, and at 11am his family’s life changed forever. Avi’s elderly mother, his wife, his son, and himself were all in the unfinished bomb shelter when as he remembers, the Tzeva Adom “Color Red” alarm blared and within a few seconds the whole house went black. December 30th, 2008, a Qassam directly struck his house destroying everything except miraculously the family who were saved inside the bomb shelter due to Avi’s heroism. The wall inside the house they had used to hide behind was blasted through by the Qassam. The very next day the region’s firemen captain ordered all the bomb shelters to be opened regardless if they were finished or not. Avi began working at the Sderot fire station in 1985 and until 1994 he worked as the lone fireman. He was given an old truck from 1968 and left in charge of the entire Western Negev region ranging across over 25 miles. Today, the only station in the world that fights fires from Gaza’s Qassam rockets, Avi says it is not much different from the days in which he began. 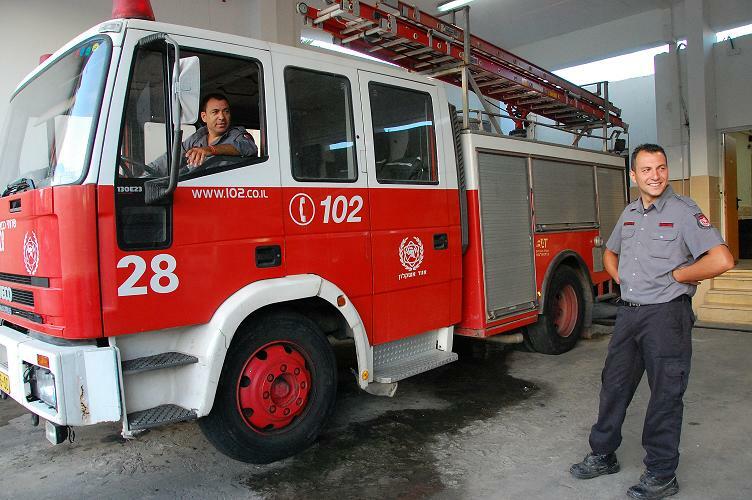 Even during the 21 day period of Operation Cast Lead this past December and January, during which almost 800 rockets were fired from Gaza into the region, the Sderot fire department still had alotted only two firemen. Some days one or two from other cities like Ashqelon, Netivot, and Ashdod would be sent to help out.